Schools do NOT care about DOE orders! Read on!! 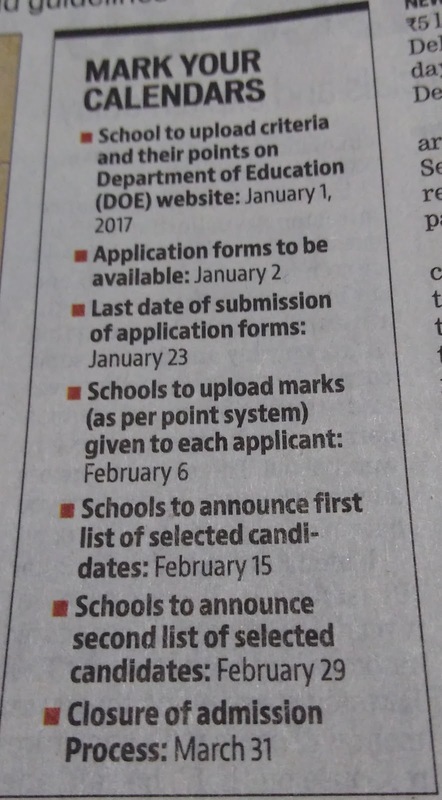 SchoolsWeLike.com was first to report the Delhi Nursery Admissions Dates and even projected accurately that the porints critria data will be delayed as it happened last year too. This proves that schools hardly care about DOE orders and take it lightly. 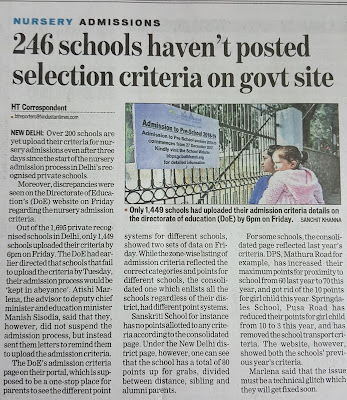 Last year even after one month into admissions process many schools did not upload the data and no one complained or bothered. 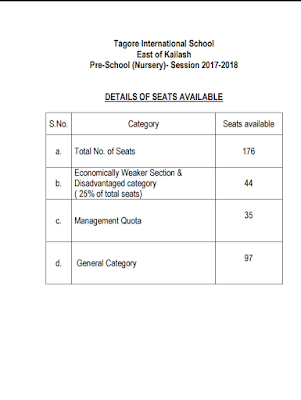 Private unaided schools in the national capital released their first list for nursery admission on Tuesday. Schools said they have released the first list and parents can come to school for document verification and admission. Many parents, however, said they have not been able to make it to the list of any school. Parents, many of whom had applied to multiple schools, lamented the lack of uniform criteria. “My child’s name has not come in even a single school out of the 12 that I have checked today. Every school has a different set of criteria. While some are keeping neighbourhood at 0-1 kms, others have 0-6 kms. Schools have different points for sibling and alumni,” said Sumit Malhotra, a resident of Dwarka. Parents already know the details of the points their children have received since schools have uploaded the details on their websites. The Delhi government had directed the schools to upload the list of students who had applied and the points they got. For admission to nursery classes, children are given points on the basis of criteria such as distance, sibling, alumni and others. In schools, where more than one child received the same score, draw of lots will be held. Schools in which seats are left vacant after completing the process, a second list will be released on March 17. 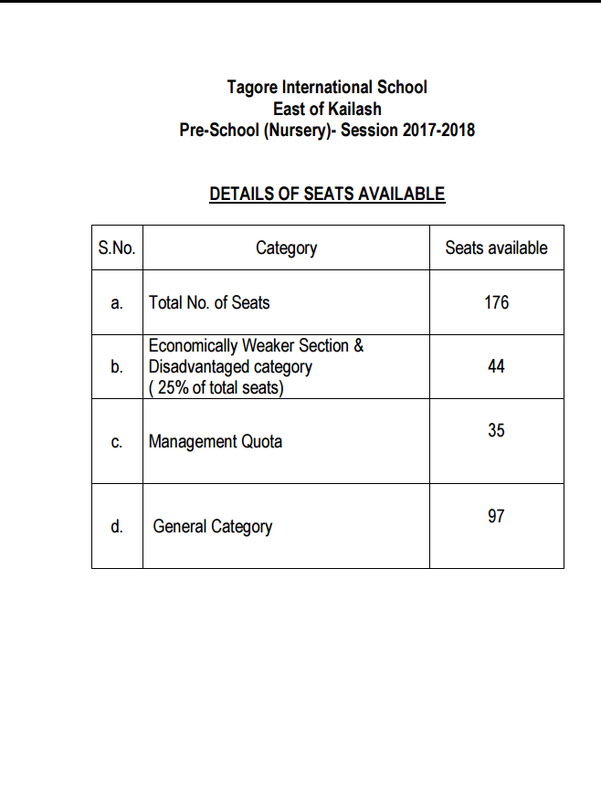 This is only for the general category seats and not for the 25% seats meant for the Economically Weaker Section/Disadvantaged (EWS/DG) category. The admission to this category is centralised and is conducted by the government. The application process for the students in this category is over. Officials said the list for EWS admission will come out in the next week. “Hopefully by next week we will conduct the draw of lots and list of students will be out,” an official said. 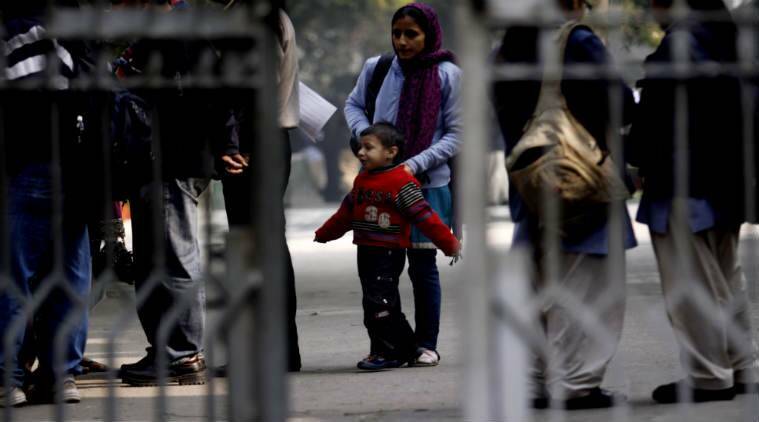 The Delhi High Court on Thursday concluded arguments and reserved its judgement in the nursery admission case. The court is likely to pronounce its judgement by next week on whether January 7 notification of Delhi Lieutenant Governor regarding neighbourhood criteria will apply for admissions this year. The order is expected to come by February 14. Earlier, the court stated it to be a ‘race against time’ and added that it has to decide the plea on nursery admissions within a ‘very tight schedule’. 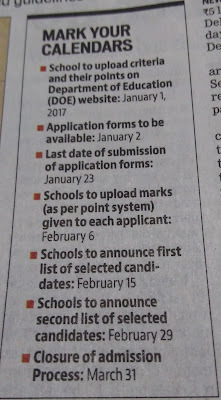 Justice Manmohan was referring to the deadline of February 14 for submission of nursery application forms in Delhi schools. The court heard the arguments by petitioners, including section of parents and two school groups challenging the Delhi government’s December 19, 2016 and January 7 notifications that made 298 private schools, built on Delhi Development Authority (DDA) land, to accept nursery forms based only on the neighbourhood or distance criteria. The school’s advocate replied that the issue can be bifurcated since due to the new circulars, a fresh ground of discrimination between two school groups has cropped up. The school association argued that interest of 298 schools has to be safeguarded and being the government, it should not discriminate between students, more so, when there is no definition of neighbourhood criteria in the letter allotting land to the schools. The High Court had also asked the Centre and the Delhi government to produce before it the allotment letters on the basis of which neighbourhood criteria was said to be imposed. "It is a race against time," was how the Delhi High Court on Tuesday observed while referring to the "tight schedule" before which it has to decide on the pleas challenging the Delhi government's notifications on neighbourhood criteria for nursery admission.Justice Manmohan was referring to the deadline of February 14 for submission of nursery application forms in Delhi schools. The court heard the arguments by petitioners, including section of parents and two school groups challenging the Delhi government's December 19, 2016 and January 7 notifications that made 298 private schools, built on Delhi Development Authorityland, to accept nursery forms based only on the neighbourhood or distance criteria. HC asked the schools if their challenge to the notification can be "bifurcated" so that the issue of land allotted by DDA and the neighbourhood criteria could be argued separately. The school's advocate replied that the issue can be bifurcated since due to the new circulars, a fresh ground of discrimination between two school groups has cropped up. The school body also alleged that the government has "discriminated" among schools as the neighbourhood criteria has been applied against only 298 schools while it has not been made mandatory for the other 1,400. "If the issue of children going to 1,400 schools is not a matter of concern for the government then why is it a concern for students of 298 others? Why only 298 schools have been subjected to this kind of treatment? It is nothing but arbitrariness and discrimination," the lawyer said. On Monday HC asked the Centre to explain its stand with regard to the neighbourhood norm. It had also directed the government to show the copy of allotment letters on the basis of which neighbourhood criteria was imposed. The two school groups — Action Committee of Unaided Recognised Private Schools, Forum for Promotion of Quality Education — and parents have contended that these circulars are bad in law and have curtailed their fundamental laws. Here we present the simple yet powerful search across all Delhi schools that have published Selection Criteria and Points. IMPORTANT: Please note that selection criteria and points criteria for over 1250 schools has NOT been published on DOE site yet, but we intend to bring you the latest data as and when it gets published. Please share the help fellow parents and share your experience and feedback! Source: All information is provided in good faith for guidance and reference purposes only. It is of a general informational and educational nature, and SchoolsWeLike.com takes no legal responsibility for the accuracy of the information provided via this page or found as a consequence of this service, nor for any loss or damage including that arising from warranty of merchantability or fitness for a particular purpose, resulting from any such information. Visitors are requested to refer to DOE/school circulars and website as information may change time to time. Selection Criteria/Points of 298 Schools on DDA Land! Schools gearing up to criteria and points, here is the inside story! Schools gearing up to criteria and points and SWL brings you the "inside story"! 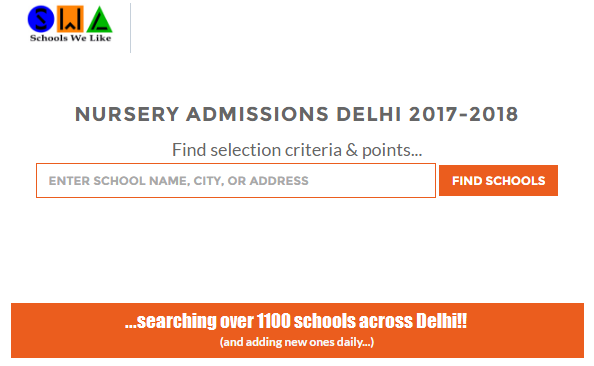 1400+ schools of Delhi are ready with their selection criteria and points, SchoolsWeLike.com brings you the inside story, wondering what the criteria is going to be, and how many points schools are going to assign to each one of them? Know them first and know them now. Alumni - Schools love to give advantage to parents that been alumni of same school. A typical 10-20 points to this one. Staff - For all different reasons, schools prefer to give extra points to kids of staff members as this works for them as well, and teachers would stay with school if their kids also attend the same school. Nobody wants to lose good teachers. Expect 10 points to this criteria. 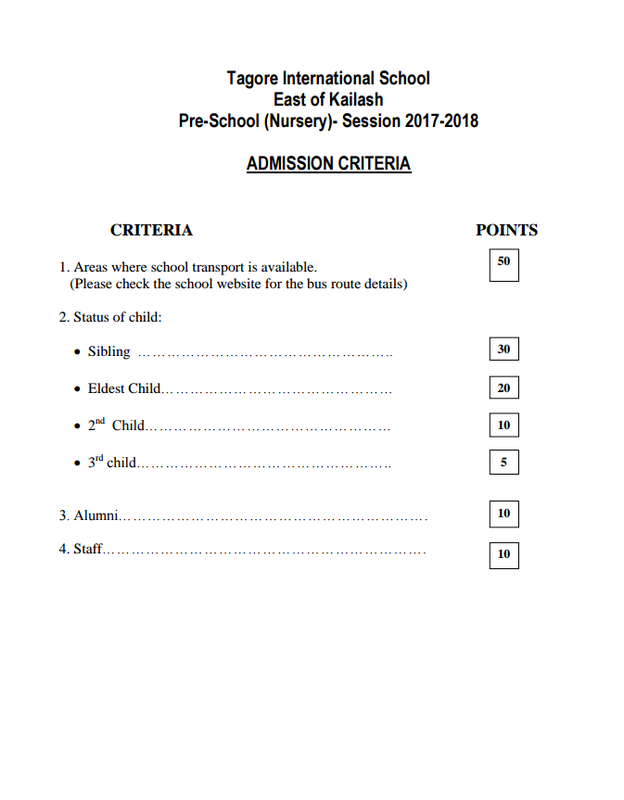 First Child/Girl Child/Single Parent - Schools have been giving points to these, and usually this would attract 10 points and this case really handy for many parents of course. 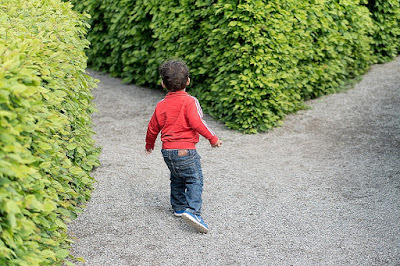 Transferable job - Schools prefer a fix number of kids that help them rotate the seats as they are promoted to senior classes, this helps them generate more revenue and profits (how? that's a long story for another day :D). Usually this attracts 10 points. Further if you are wondering if your job is considered a transferable job or not? Drop a message in comments with details of what sort of job you are in and I shall revert. 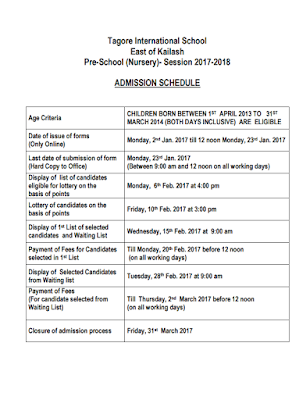 Nursery Admissions for the session 2017-18 will begin from January 2,2017 in around 1400 private unaided recognised schools in the capital. But it does not cover the 285 schools built on DDA Land. There will be separate guidelines and schedule for these 285 schools. According to the notification, guidelines for these schools will be declared later. These 285 schools comprise some of the most well-known institutions in the city. For the remaining schools, the guidelines remain largely the same as last year. Criteria such as distance from school, parents as alumni, sibling in the same school, girl child etc can be used and points can be ascribed to them as the school deems fit. Unfair criteria — such as giving points if the applicant’s parents are well-educated, if the child is proficient in music, or if the parent is vegetarian — however, will not be allowed. Management quota will be allowed but will be capped at a maximum of 20 per cent. The difference this year, however, is that schools will have to reserve two days to resolve parents’ grievances, if any, after the declaration of the first admission list. The guidelines released Monday flowed from the legal battle fought last year. The Delhi government had come out with a strict guideline where it did away with the management quota and defined the basis on which points could be given. Schools went to court over the matter and won. They were allowed to frame their own guidelines provided they were fair, non-discriminatory, and did not violate Right to Education Act. The cost of one form is capped at Rs 25. Parents will not be forced to buy school prospectus. All schools will have to reserve 25 per cent of their seats for students from the economically weaker section. These admissions will be carried out by a centralized online application system. Private schools may get the right to decide the area to which the neighbourhood criterion will apply for nursery admissions for the academic session 2017-18. The government plans to set one kilometre as the minimum distance for the norm. This year the government is planning to make ‘neighborhood’ or the distance between a child’s home and school as the only criteria for nursery admissions. The move will impact 285 schools built on land allotted by the Delhi Development Authority. 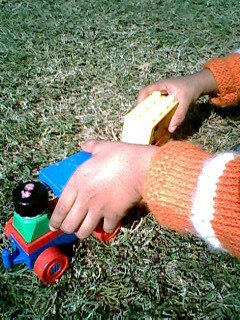 The land allotment terms state that schools cannot deny admissions to residents of neighboring areas. The government on Monday held a consultation with schools to discuss nursery admission guidelines, implementation of DDA allotment letters, and the definition of the terms — locality and neighborhood. Officials said the government’s plan is in line with a Supreme Court direction that says schools have to strictly implement terms of land allotment. The current consultation comes in the wake of a petition filed by ‘Justice for All’ in high court which states that as per the land lease agreement between schools and DDA, schools cannot deny admissions to students from the neighbourhood. 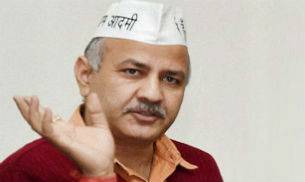 Deputy chief minister and education minister Manish Sisodia told schools that they will be free to define neighbourhood but the minimum distance they have to cover is 1 kilometre. “The minister told schools that they have to implement the terms of land allotment. But the terms don’t define the limit of neighbourhood. Schools will be free to decide the distance they want to cover under neighbourhood but the minimum distance will be 1 kilometre,” sources said. Schools have been asked to send their feedback in a few days over government’s move. “We will send our feedback in a day or two,” said a school representative, who attended the meeting. 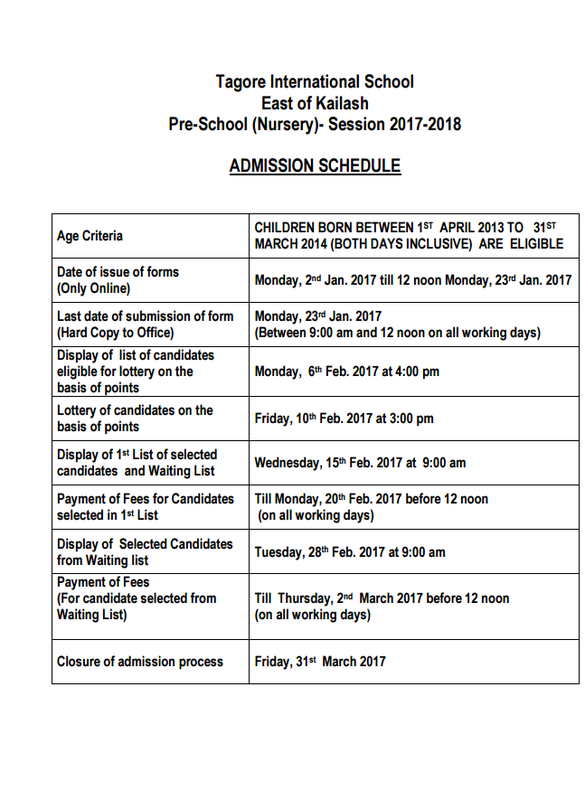 Nursery admissions for the upcoming academic session are likely to begin from January 1. With the age limit for nursery admission still unclear, parents seeking admission for their little ones have more to worry about after schools notified different admission procedures. While some schools are using point system and lottery system to choose students, some others prefer personal interaction. Some institutions are also giving admission on a first-come first-served basis. Gurgaon schools, unlike Delhi schools, do not have a regulatory body to check nursery admission procedures that started in July. The district education officers (DEOs) - elementary and senior - say the nursery section does not come under their purview. “Every parent chooses at least three to four schools for their child. The problem is that each school is following different criteria and it is not mentioned on their websites. Most of the time, we have to call the reception and get all the information. If we miss something, the chances of our child getting admission will be lower,” Sarthak Thakur, a parent said. Some parents blamed schools for going against the Right to Education (RTE) norms by screening and profiling children. However, schools said the interaction session is conducted so that parents can understand the school better. Schools that follow point system give scores to applicants on criteria such as distance from school, sibling, girl child and contribution towards national cause. For example, HDFC School in Sector 57 gives priority to applicants on three grounds - proximity from school, siblings and employee’s child. However, some parents said the point system is unfair. They said if they want their child to go to a good school, they have to buy a house in the locality. Parents with a single child questioned the sibling criteria. “I want my child to go to a school in Sector 57. My in-laws have been living here for 30 years. Should I change my home now for the admission?” Sangeeta Goel of Sector 15 said. Schools said the distance criteria is for the safety of children. “We do not want to risk a child’s security. The first preference will be for students living in a 10-kilometre radius,” Anita Makkar, principal of The HDFC School in Sector 57, said. 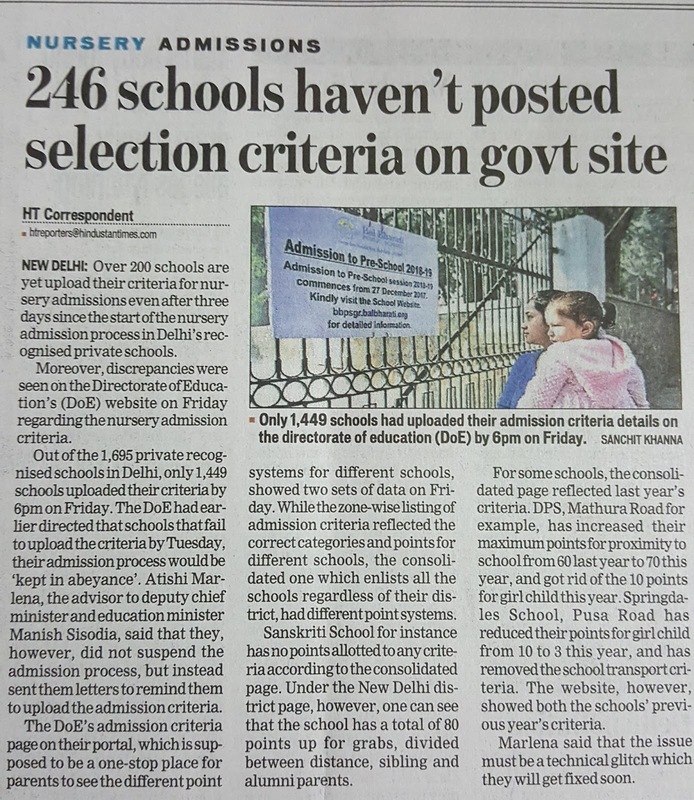 Adding to the misery of parents, schools, including Ridge Valley School, Vega Schools in Sector 48, The Maurya School in Palam Vihar, have not mentioned their admission processes.